A postcard aerial view of the magnificent Giza pyramids in Egypt. My very first one from a country and culture I truly find fascinating. Egypt, officially the Arab Republic of Egypt, is a country in North Africa very famous for its ancient civilizations and structures, its very rich history and culture dating back five thousand years ago! 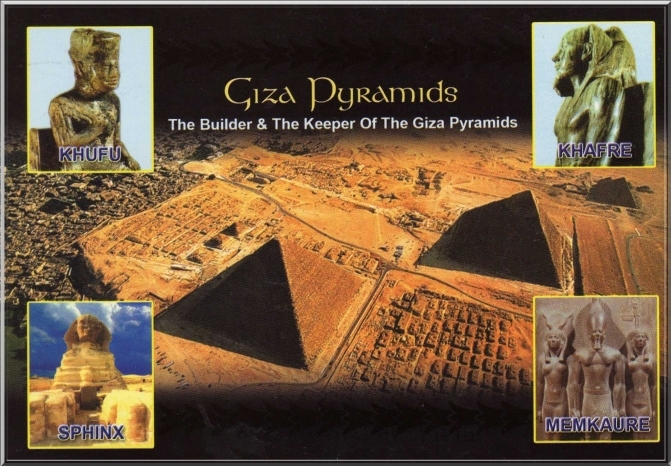 And the ever mysterious pyramids- truly to this day, one of the greatest wonders of the world. Thank you, Ana, Chica & Pumuckl! 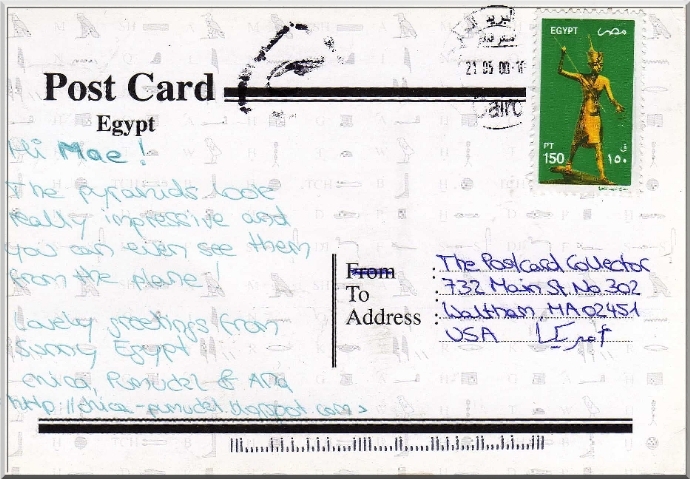 passionate about Egypt, but I wasn’t there yet.